The explosion of green smoothies and juices is everywhere. Within the last couple months, 3 new juice places have opened within one mile of my house and grocery stores and Starbucks are now selling pre-packaged juices. Are they as good for you as they seem and what are the differences? 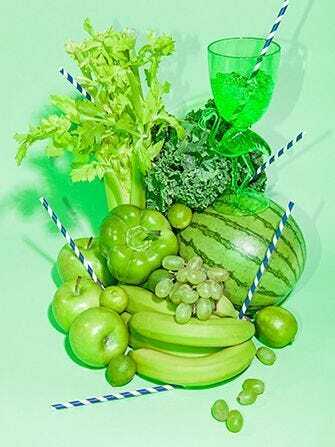 My friend, Elizabeth Girouard, a Certified Holistic Health Coach, wrote an excellent article that answers many of these questions and explains why we all should give green drinks a try. We have posted a portion of her article below. Read on to learn more. I am often asked: What’s the rage with Green Smoothies? This is a great question. Many of my Healthy Eating Challengers still start off their days with a Green Smoothie – and here are a few reasons why! 2) easier to digest since the blender starts the digestion process for you by breaking down the veggies’ cell walls. This means your body can quickly assimilate the nutrients. 3) a great vitamin, mineral, phytonutrient and anti-oxidant infusion to start the day. 4) a nutrient dense powerhouse that can improve your immunity to colds, flus and other potential bugs. 6) filled with dark leafy greens that have a lot of chlorophyll which delivers oxygen to our bodies that can increase our energy levels. 7) able to help diminish cravings and reduce hunger as it is providing nourishment to your body. 8) able to help you lose weight as you are adding in more vegetables and crowding out the less beneficial foods for your body! What’s the difference between juicing and blending (smoothies)? And, is one better than the other? And, does juicing increase my blood sugar? As a culture, we go through phases with our diet preferences — low-fat gave way to low-carb, dairy-free begat gluten-free, and eggs (poor eggs) are either omega-rich wunderkinds or insidious cholesterol bombs depending on the current political climate and whether or not Mercury’s in retrograde. Yet, there are some out-there diet myths that we simply can’t seem to shake. Myth #1 You shouldn’t eat dinner (or anything else) after 7 p.m. Myth #2 Your body doesn’t need carbohydrates. Carbs make you fat. This line of thinking is central to quite a few diet programs, but Kinsella puts it right to bed. “With the exception of specialized diets for medical necessity, if someone isn’t eating carbohydrates, they aren’t functioning at their optimal level,” she says. “The brain alone uses 130 grams of carbohydrates per day. Carbohydrates are also necessary for serotonin production.”She adds that the maligned molecules are even more important if you engage in even moderate exercise. “Carbohydrates are the main source of energy for exercise and many people do not feel good when exercising without them. Since exercise is an essential component of self-care and health, eliminating carbohydrates can be detrimental to overall health.”Again, no one’s arguing that you need more Wonder Bread in your life, but “whole grains, beans, fruit, and vegetables all contain carbohydrates and are excellent sources of fiber. For this reason, many people on low-carb diets experience an unwanted side effect: constipation.” We’ve all been there. Let’s not go there again. 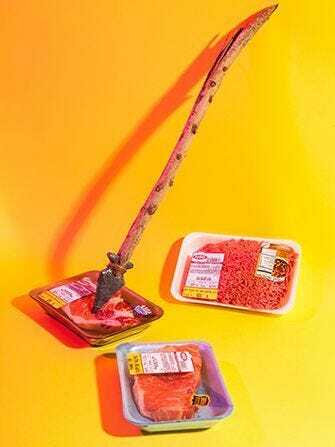 Myth #3 Paleo is the ideal diet, because we were all once Paleolithic people. This one particularly irks me. It’s at once so attractive to the dieter (“Of course! Ancient man didn’t have spaghetti, so I shouldn’t, either!”) and so ridiculous (Ancient man didn’t have lentils, and therefore lentils are bad for you?). We also need to acknowledge that we don’t live like ancient man. Consider, for example, that modern produce bears little resemblance to its Paleolithic ancestors. And, hunter-getherer diets varied drastically depending upon where the population lived. Lastly, when is the last time you actively pursued your steak before eating it? Myth #4: There is such a thing as eating right for your blood type. Myth #5: Juicing is healthy and cleansing is necessary.